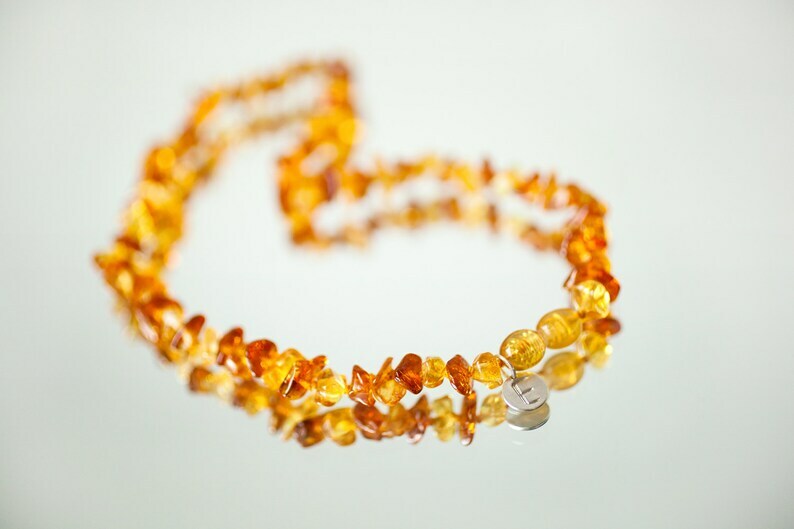 This personalized baby necklace has been made from honey and cognac colour amber that is natural, has not been chemically treated and retains all its natural goodness. Beautiful rich colours look amazing on your baby - you will get complimented every day! It is a great new mom gift. Fastened with safe tension release fastening. Each piece of amber is placed between knots to prevent loosing amber if the necklace breaks. The necklace is 12-13 inches/33cm long. 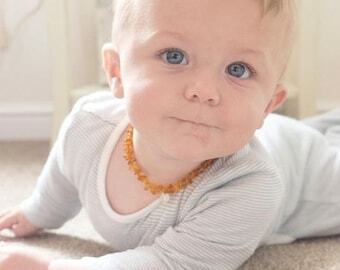 There is a small sterling silver disk attached to the necklace stamped with your baby's initial.